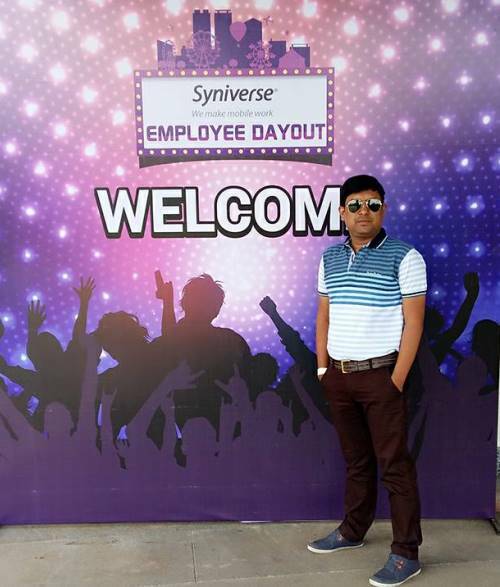 I’m Associate Lead System Engineer in Syniverse’s Service Provider Group. 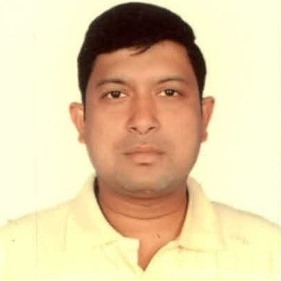 I work at the Bangalore office and support production and development for multiple products. Almost four years. I started as System Administrator for part of Syniverse’ s roaming, messaging, network and fraud products, and I later became part of a global team supporting a wide range of Syniverse products. I have two major projects going on. I’m working on a project to build a database cluster for some of our clearing products that will greatly upgrade and expand our database functionality. I’m also working on an asset inventory of data clearing in India that will enable us to provide more efficient service and fine-tune some of our technologies. In addition to these projects, I also have a number of day-to-day operational support responsibilities, such as fulfilling customer requests, maintenance requests and update requests related to our production environment. These include requests for projects like new builds, new software installations and technical troubleshooting. No matter how experienced and proficient you may be in any one area, the mobile industry is so fast-moving that you must make it a priority to always stay up with the newest technologies. This is critical so that you can not only be prepared to integrate these technologies, but so that you can adapt current technologies to work with the new ones. One of my best moments was the migration of our data centers from Tampa to new facilities in Chicago and Dallas. This was one of the longest and most challenging projects I’ve worked on, but also one of the most satisfying and rewarding. It was a global project requiring multiple teams to coordinate across many time zones and work on a number of complex problems. But in the end, our System Administration team achieved a smooth and successful migration, and the way that everyone worked together to make it a success made the project extremely rewarding. Additionally, the new data centers in Chicago and Dallas now provide a much more stable and robust environment for our business. The teamwork. We have an amazing team spirit in our company and an ability for everyone to work across different groups. When dealing with deadlines and timelines, we all come together and work as one. Our recently realigned global System Administration team is now able to support all our customers across the globe even more efficiently and proficiently now. I use a Samsung Galaxy A5. My Galaxy app, a multipurpose Samsung app that enables me to shop, learn and have fun with a number of functions. Another favorite one is Google Maps, which helps me to get correct directions to go anywhere quickly and easily. Two days, when I accidentally left my phone at home during a weekend trip with family. I’m fortunate to have a lot of family members and college friends close by, so I enjoy getting together with them for different social outings. 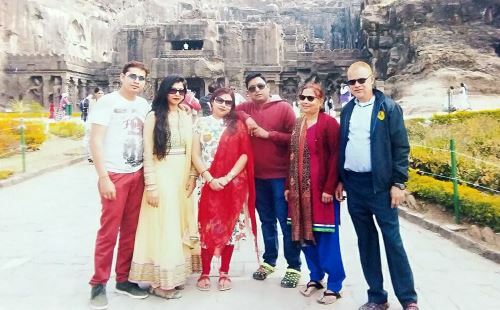 Visiting Ajanta Caves, a UNESCO World Heritage site in Central India, with my wife (center) and family. 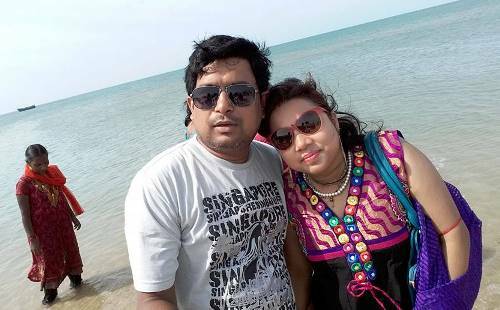 With my wife at Dhanushkodi, a city on the coast of Southern India. At a recent party at our Bangalore office.